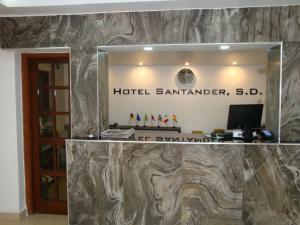 ﻿ Best Price on Quality Hotel Real Aeropuerto Santo Domingo in Santo Domingo + Reviews! Have a question for Quality Hotel Real Aeropuerto Santo Domingo? Whether you're a tourist or traveling on business, Quality Hotel Real Aeropuerto Santo Domingo is a great choice for accommodation when visiting Santo Domingo. From here, guests can enjoy easy access to all that the lively city has to offer. This modern hotel is in the vicinity of popular city attractions such as Reloj de Sol, La Casa de Los Jesuitas, Palacio de Borgella. At Quality Hotel Real Aeropuerto Santo Domingo, every effort is made to make guests feel comfortable. To do so, the hotel provides the best in services and amenities. This hotel offers numerous on-site facilities to satisfy even the most discerning guest. In addition, all guestrooms feature a variety of comforts. Many rooms even provide television LCD/plasma screen, internet access – wireless (complimentary), air conditioning, wake-up service, desk to please the most discerning guest. The hotel offers fantastic facilities, including outdoor pool, garden, to help you unwind after an action-packed day in the city. Whatever your reason for visiting Santo Domingo, the Quality Hotel Real Aeropuerto Santo Domingo is the perfect venue for an exhilarating and exciting break away. I was a bit disappointed with my room but did not complain because the Manager was courteous about allowing me to have early entry. The towels were worn and did not glisten white as in most hotels of this rating. I had a wheel chair room but the shower is terrible and water flooded and shower head not stable. I was using a walking cane. The price is high compared to what is offered and the free breakfast was a bit overrated. The fitness room and pool were excellent. There are no restaurants or shopping places nearby and taxis are high priced. Cons - expensive taxi fare to the hotel. $15-20 USD for under 10 mins. Hotel airport shuttle bus only operates in the afternoon. So $18 set taxi fare from the hotel to the airport. Utter rip off Breakfast very nice. Bed comfy. No other nearby hotel so can’t compare to others.